Essentially, you could fit every single Diabetic in the state of Texas. The ones that have been diagnosed could fit in the state of New York. The ones that have not been diagnosed could fit in the state of Massachusetts. Lastly, you would need the states of Florida, New York, and California combined to fit all the Americans that are pre-diabetic. Additionally, America far exceeds all of her developed counterparts with respect to Diabetes rates. In fact, the International Diabetes Federation ranks the United States 29th out of 223 countries for Diabetes prevalence at 10.3%. For comparison purposes, United Kingdom is ranked 199th place with a prevalence rate of only 4.9% and all of Europe is ranked 108th place with a prevalence rate of 6.9%. The most common form of Diabetes is Type-2. 90% of all diagnosed diabetes are Type-2. This is where the body is unable to use the insulin produced. Type-2 Diabetes is unique in that it can be prevented with lifestyle changes. While some risk factors include family history and ethnicity, most of the major risk factors are things people can control; things like obesity and physical inactivity. A study published in the New England Journal of Medicine in 2002 found that lifestyle changes and increased physical activity in non-diabetics yielded a 58% reduction in the incidences of Type-2 Diabetes in that population. The effort required for these success rates was a minimum of 150 minutes of physical activity per week and an average of 7% weight loss. However, despite the ability to prevent this debilitating disease, the rate of new cases continues to skyrocket. This has been especially problematic with children. 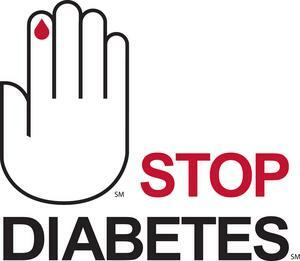 The rate of new incidences of diabetes for youth under the age of 10 is roughly 20%. [i] For youth aged 10-19, it increases to over 25%. Most children diagnosed with diabetes have Type-1, meaning the body produces little to no insulin. However, Non-Hispanic Blacks and American Indians have seen explosive rates among children with Type-2 diabetes. In fact, the Type-2 rate for Non-Hispanic Black youth is over 20% and for Native Americans it is well over 35%. Diabetes is not only debilitating to one’s physical health, but also to their financial health and security. The most common source of financial security for working class Americans is through life insurance. Diabetes often causes life insurance rates to be less affordable. This in turn decreases the chance of ever having adequate insurance coverage to protect one’s family and assets. Conversely, as Diabetes rates increase in young children, it continually puts them at a disadvantage to their non-diabetic peers. The Center of Disease Control estimates that Diabetes cost America $174 billion dollars a year in indirect and direct costs. Americans with Diabetes have 2.3 times higher healthcare costs than if they were non-diabetic. $116 billion represents direct health costs while $58 billion represents indirect costs from loss of work, lower labor output, disability, and premature death. Every dollar loss from an American that misses work due to Diabetes is a dollar that is stolen from the U.S. Economy. Just to understand the size of these loses; $174 billion about equals the amount raised by the U.S. Government in corporate taxation in 2011. $116 billion equals the Obama tax credit to 95% of Americans earning below $250,000 (for families). Lastly, $58 billion dollars is about the amount allocated to Education in the 2013 budget from the Obama administration. These are big dollars and it’s all for a disease that in many cases can be prevented. The best economic stimulus package might be making America healthier. November 27, 2012 in Health Economics.